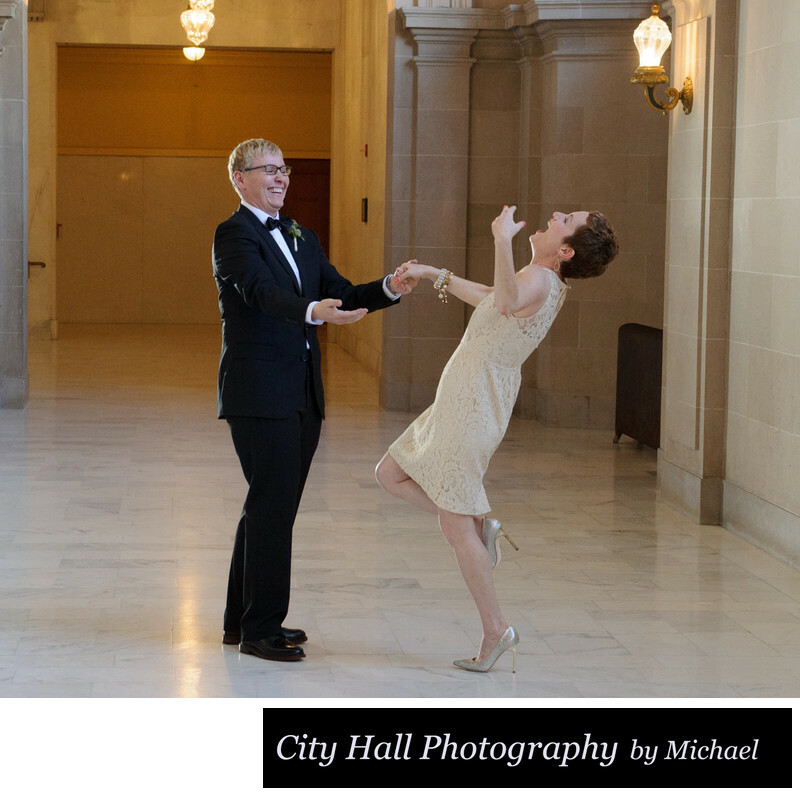 Why do couples hire a wedding photographer for their City Hall Marriage? Certainly not to get cell phone type photos that uncle Bob could take. No, you hire a professional wedding photographer to capture special moments between the couple and also show the fun that occurred during their day. In the image above, we asked this LGBT couple to dance a little. The resulting image became one of their favorites.